I can’t think of a time I have gone out for brunch and ordered anything else but a mimosa cocktail. Why you ask? Well there is the guilt free day drinking that I get to indulge in but more importantly there is the one-part orange juice in the mimosa that I like to think of as wholesome. Whether you are drinking it for breakfast, brunch or like me as part of a cocktail, most if not all of us enjoy orange juice but are clueless about the numerous benefits the juice has to offer. Including unsweetened, freshly pressed orange juice in your diet will have your body leaping for joy. Here are a few incredible benefits that will make you consider drinking more orange juice. Since our bodies cannot manufacture Vitamin C, we acquire the vitamin by consuming foods and beverages that contain it. One such beverage is the deliciously tangy orange juice which is brimming with Vitamin C. Most of us know Vitamin C as the thing we need only when we catch a nasty cold, but it plays a more vital role in our bodies. Vitamin C boosts our immunity by fighting unwanted radicals in the body. It is also an anti-oxidant that aids in reducing the premature aging of cells. The powerful healing property of oranges is one of the reasons it is revered and often given to recovering patients. Orange juice contains flavonoids and several anti-inflammatory properties which do an incredible job of reducing inflammation in different parts of the body. Inflammation can result in pain and other complications and consuming orange juice regularly promotes healing while reducing the occurrence of inflammation. Characterized by weak and soft bones, rickets occurs because of a prolonged deficiency in Vitamin D and is very common disease among children. Orange juice is fortified with vitamin D and other minerals which research has shown not only relieves the symptoms but also prevents the occurrence and development of rickets. 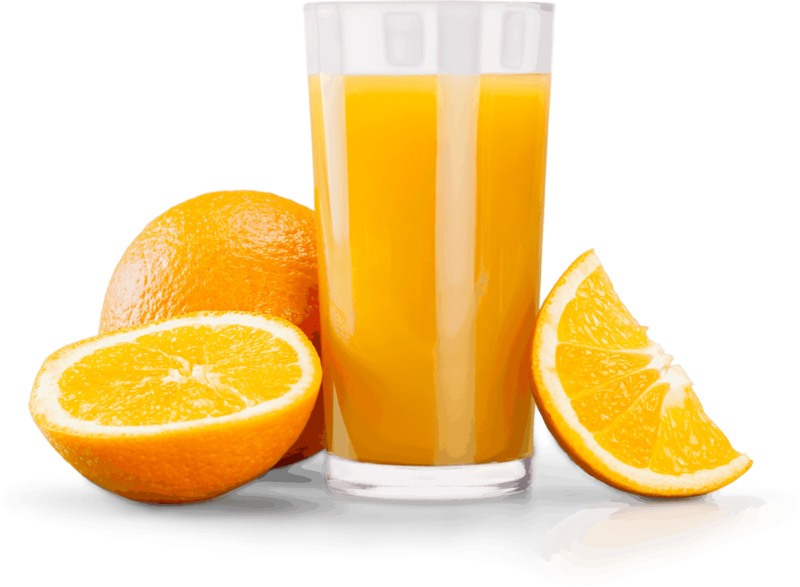 Orange juice has been linked to the prevention of cancer. It is said to boosts the presence of cancer fighting anti-oxidants which limits the development of cells into cancerous tumors. It also contains folate and hesperidin a flavonoid which have been linked to reducing the growth of tumors by stimulating “programmed” cell death in cancerous cells and ensuring proper cell function. Rich in citrates, and water content orange juice prevents the formation of kidney stones. This is because the decreased uric acid levels and in conjunction with the increased citrates reduce the risk of kidney stones. Consuming orange juice with its high-water content also goes a long way in dissolving substances that could result in kidney stones but it also ensuring you are hydrated. Start living life again like it’s your first day by including orange juice in your diet. Aside from what we have mentioned above, orange juice can boost your immunity, balance your cholesterol levels, protect your skin from damage by UV light, and increase your blood circulation. There is a caveat though. The benefits are only acquired by drinking unadulterated orange juice. And if it still isn’t clear this means none of that commercially processed juice.